Baptism celebrates the birth of a child and that child’s acceptance into the church family. Birthday parties honor the passing of another year in the life of someone we love. Weddings publicly affirm the private love shared by two people. Wakes became common in the past few hundred years to hold vigil and watch guard over our loved ones until they were buried. Today many people plan “Celebrations of Life” to honor and remember their loved one’s memory. Whatever we choose for religious or personal reasons is and should be sacred to us and the persons memory. These rituals are important and symbolic activities that help us along with our families and friends to express our deepest thoughts and feelings about life’s most important events. The ritual known as a funeral carries with it a two-fold purpose: One is to remember that person the way we knew them in life. Two is to say “Goodbye” to their physical presence that no longer will be part of our lives. Ground burial is still the most popular choice of families and we have addressed this by allowing up to four cremains to go into each grave. 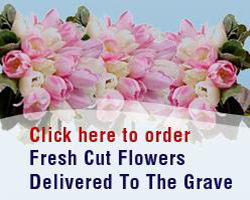 This saves money and space where one grave can now be used for a family. Existing graves with previous burials can now also be used for cremation burial on top *with proper authorizations* We have new options for low-cost markers and changing existing markers. 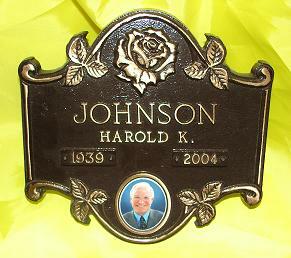 If ground burial isn’t preferred, we offer above ground Mausoleums that allow families to personalizing their niche with 1000’s of choices in emblems, and even portraits and cameos of their loves ones. Families can now choose to bury all the cremains, keep some of the cremains and bury the rest, or in some cases bury mementos such as clothing or pictures of the deceased if the remains were previously scattered. A permanent memorial provides a place for people to mourn. It gives all mourners, not just family, a place to go and pay respects and connect. It provides a place for future generations to reconnect with ancestors they might have never met. It provides a focal point for remembrance and ensures those memories live on. Passing on cremains and amassing more urns on a shelf is not practical for families. We are here to help and guide you in planning your “Celebrations of Life” and make your event meaningful. Ceremonies can take place on special dates or times, with music, flowers, bagpipes, military honors, eulogies and stories, giving your family and friends a proper way to share in their memory. New memorialization options allow for ceramic photos to be placed on the marker or choose from our brochures of military emblems, religious, affiliations, and even hobbies. For more information from Worcester County Memorial Park in Paxton, Massachusetts click here and fill out the contact page and we will get in touch with you very shortly.